By buying this product you can collect up to 4 loyalty points. Your cart will total 4 loyalty points that can be converted into a voucher of 0,48 €. Blistered paint, wallpaper off, dry rot, wood rotted, and bad smell "musty" -not really a pleasant living environment. This is the case in many (old) buildings and is often caused by the damp. 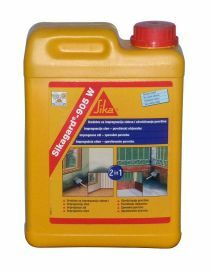 SikaMur InjectoCream-100 is a water-repellent creaminjected with a simple gun into a series of holes drilled in the joints of the masonry. No need for special injection pump! Once injected into joints, SikaMur InjectoCream-100 diffuses into the damp wall to form a Gate pushing water and block the future appearance of damp. Natural stone walls and filled, etc. Low-risk, phase aqueous caustic, flammable, not injected under pressure. Remove the baseboards and/or plaster/plaster to expose masonry to treat. Measure the thickness of the wall. If coating / plaster is contaminated by salts or has been damaged, you should remove it in its entirety. Drill holes from 12 mm to 15 cm (outside) / 5 (inside) cm above the ground, in a horizontal joint level, with maximum 120 mm of distance between each hole. After the drilling each hole must be carefully cleaned with a hand pump. Inject the SikaMur InjectoCream-100 using the gun. How to ensure a lasting result? Ensure good ventilation to allow the drying of the wall. 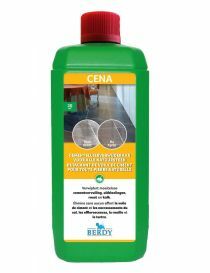 Make sure that the waterproof membrane of all new floor overlaps the waterproof barrier injected. 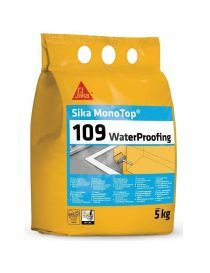 If there is no waterproof membrane, apply 2 coats of Sika MiniPack mortar for sealing on the ground and this up to a height of 50-100 mm on the wall to overlap the waterproof barrier. Re-plaster using mortars of the SikaMur system. It is recommended to apply a water-repellent impregnation Sikagard water-repellent façade on the exterior walls.